This shirt has an extra worn vintage look and feel. This shirt is super comfortable and looks great! 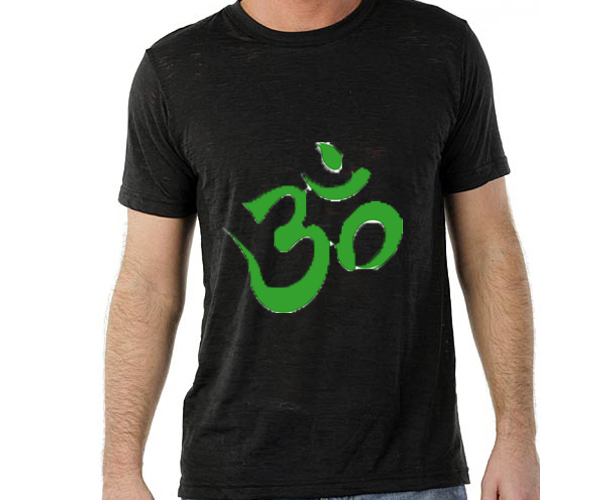 Om= Sanskrit letters or symbol for the "sacred" Hindu sound om (ohm or aum) called "the mother of all mantras." The four parts symbolize four stages of consciousness: Awake, deep sleep, dreaming, and a trance or transcendental state.